Most of us do not want to sit on our patio with neighbors looking over one’s shoulder. In over 20 years of selling bamboo, we have noticed that most all of our customers seek a privacy screen. We have seen all the reasons from apartments to office buildings, highways, power lines, nosy neighbors. There are many viable options when it comes to privacy screening. It is important to consider all categories before committing time and resources into a screening approach. The methodology describes the most popular screening options and compares the relevant categories in terms of cost, effectiveness, and longevity. Pricing is based on current market research and may vary on specific materials, location, installers, and market conditions. *Lifespan can be greatly affected by the durability of the material. | *Timeline Height is the amount of time required to create an effective screen. This category only applies to natural or living screens. Timeline for a non-living screen is the length of time required to complete the project. | *Privacy Height is the typical height of the screen. Both cities & neighborhood covenants often have an 8ft limit for fences. Living screens are typically maintained at heights of 20ft or more depending on species and climate. | *Lifespan can be greatly affected by the durability of the material. | *DIY Factor should be considered when looking at the total cost of the project. If the installation is done by the owner, the costs could be considerably lower. | *Maintenance represents the level of care required to properly maintain your privacy. | *Durability is the screen’s ability to withstand environmental stress ranging from weather events, animals, pests, etc. 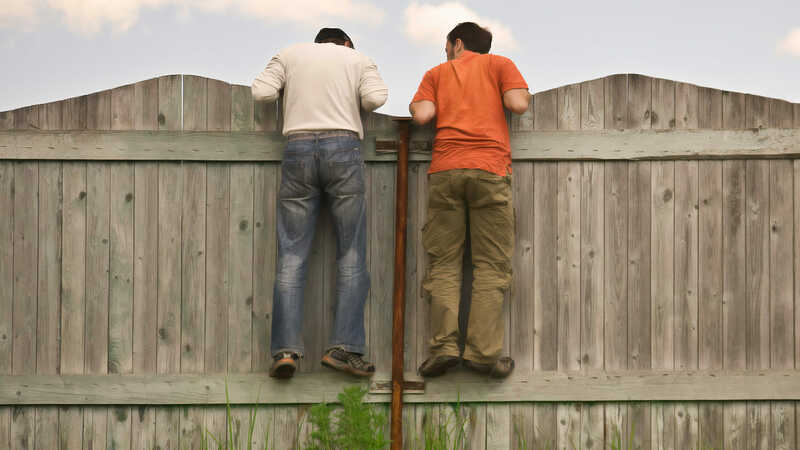 Wooden fences are the “go-to” of most privacy screen installations. Wood has a large range of applications which enhances its versatility. However, most fences tend to be 6ft tall with dog-eared layouts. The materials are readily available and contractors are easy to find. Damaged areas can be easily replaced fairly. It is not very unique. It has a short lifespan with high maintenance to maintain a suitable appearance. Vinyl has a huge range of colors and finishes. Good quality materials can have a very long lifespan, but being plastic can be easily damaged. An advanced vinyl PVC can create new finishes and more selections. Yearly maintenance on vinyl is low. It can be pressure washed easily. It allows for large selection of finishes. It can be cracked or broken easily with environmental stress. Lower quality materials can result in an ill-favored way a few years after installation. Metal is very versatile and has been a popular choice for modern privacy screens. It has a laser cut designs for more appeals. A very premium choice metal panels will have a useful duration of a lifetime. It can achieve very unique appearances from ultra-modern to contemporary. It is difficult to achieve unique designs. It requires labor and heavy equipment to install in most cases. The sourcing of materials can be challenging and expensive. Rust can stain concrete and nearby walls if water flow is not controlled. If painted, may require future maintenance. This is a popular choice for thousands of years. Well-built brick walls have passed the test of time. A vast variety of sizes, shapes, colors, and finishes allows the homeowner to achieve a rustic or modern look. It has a wide range of materials to fit a multitude of designs and styles. If damaged, it is very costly to repair. Trees are a great way to achieve taller privacy. Local governments and HOAs often limit fences and walls to 8ft. This does not apply to trees, making Leyland Cypress, Cypress, Willow, Oak, and Crape Myrtles very popular choices. Taller privacy screenings than hardscape options. Some are evergreen for a year-round privacy. It is slow to form privacy. Most are susceptible to pests, fungus, and disease. Inadequate water and climate conditions can cause total loss. See: Why we don’t recommend Leyland Cypress trees. Bamboo is gaining popularity in landscaping works because of its fast growth and development of a privacy screen. It attains tall privacy in less time than others. Bamboo is an easy plant to install and has a high ability to withstand environmental stress. It is a fast-growing, tall and evergreen privacy screen. It is not susceptible to pests, fungus, and disease. Bamboo Shield is installed with the Bamboo which keeps it in place and accelerates the growth. The use of Bamboo Shield offers a fast evergreen privacy that requires little maintenance. It has a very low maintenance. The Installation is labor intensive without using a mechanical trencher.